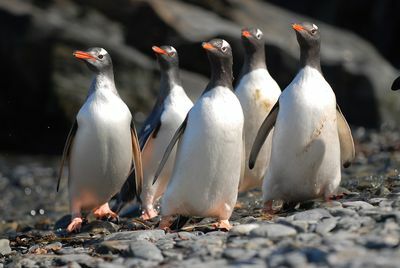 'Penguin Safari' is filmed in South Georgia, an island in the South Atlantic, a magnet for marine animals. 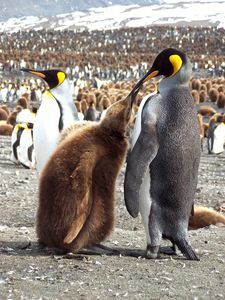 Hundreds of thousands come ashore to breed, in spring it's a location for some of the greatest wildlife spectacles on earth. Presenter Nigel Marven arrives at the end of winter as the island is still gripped by snow and ice. He keeps watch as the raucous and raunchy events as spring unfolds. For 40 days Nigel and his crew filmed this fabulous spectacle to life. In each episode Nigel shows cover moments of true drama as he gets to know individual character and experiences their day-to-day lives in this wildlife soap opera. 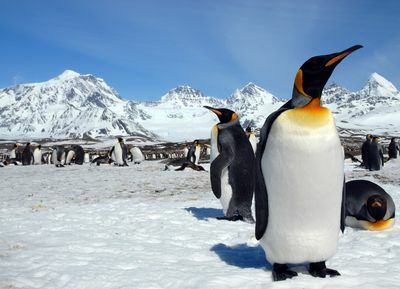 Over the spring we'll be following the fortunes of three penguin species and other wildlife. 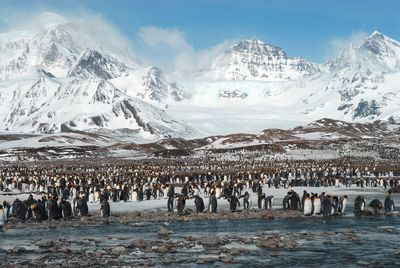 The five one-hour shows will feature footage of a colony of 200,000 king penguins with bull elephant seals clashing in the midst of them, leopard seals ambushing Gentoo penguins and a pair of Gentoo penguins stealing nest building materials from their neighbours.